Traveling to a big city can be exhausting with all the traffic, noise and crowds. In these moments, one of the best ways to escape it all without leaving the city is to visit a local garden. There are so many gardens all throughout the world that are worth to be seen and some of these are located in world’s most visited cities, such as Paris and Tokyo. When preparing your trip, make sure to write down at least one of the gardens below, we promise you won’t regret it! 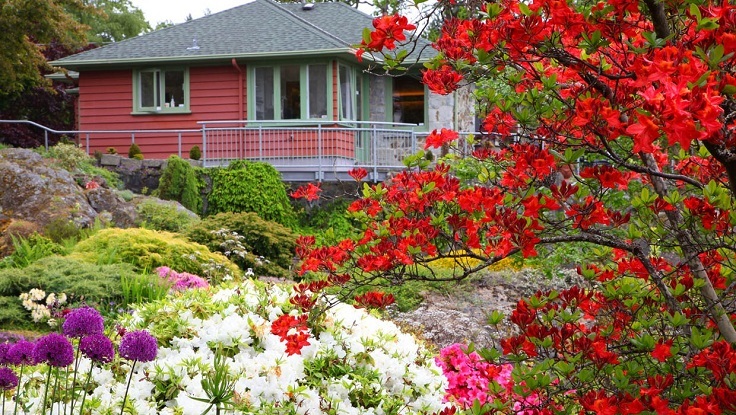 The Abkhazi Garden is located in Victoria, British Columbia. The Prince and Princess Abkhazi were the initiators behind creating this wonderful garden, which began in 1946 and lasted for decades. The Abkhazi Garden is known for its dramatic sites with native Garry oaks, vistas, and carpets with different kinds of bulbs. There is also a Tea House, where visitors can find out more about the traditional cooking with fresh local ingredients. 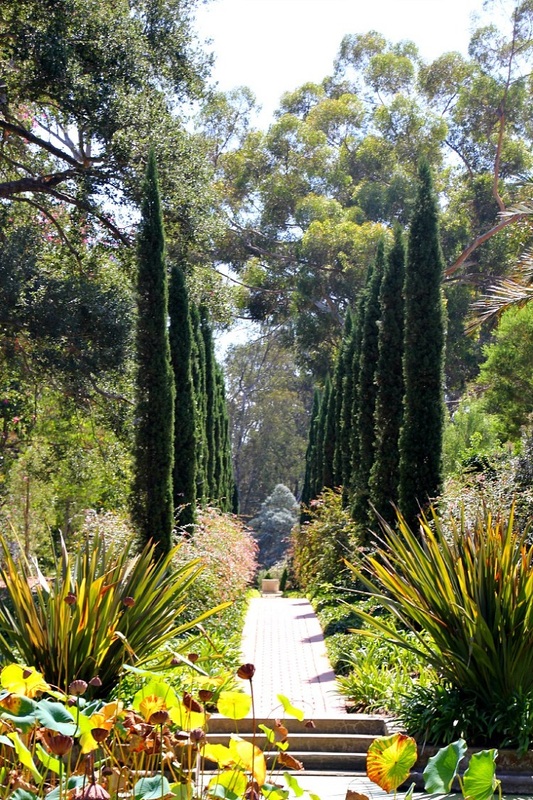 The Lotusland in Santa Barbara was purchased by opera singer Madame Ganna Walska in 1941 and she spent the following 43 years into making the garden one of the most beautiful there can be. 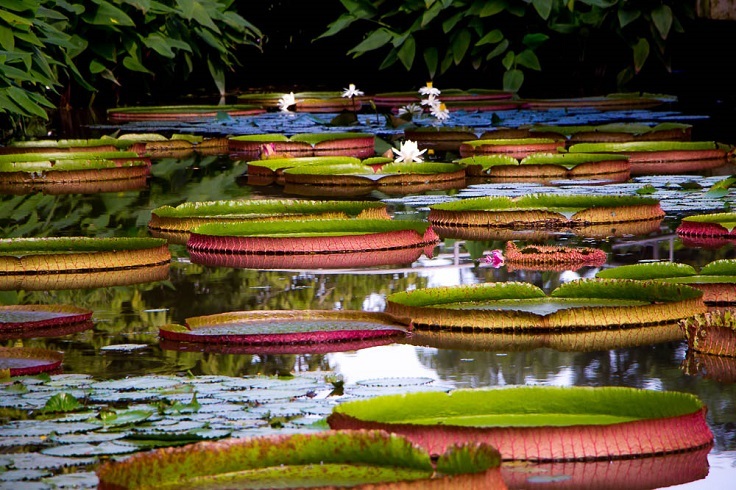 What makes the Lotusland so special is the enormous array of plants you can spot – from lotuses and water lilies to palms and euphorbias. There are also themes, such as Japanese Garden and Blue Garden. 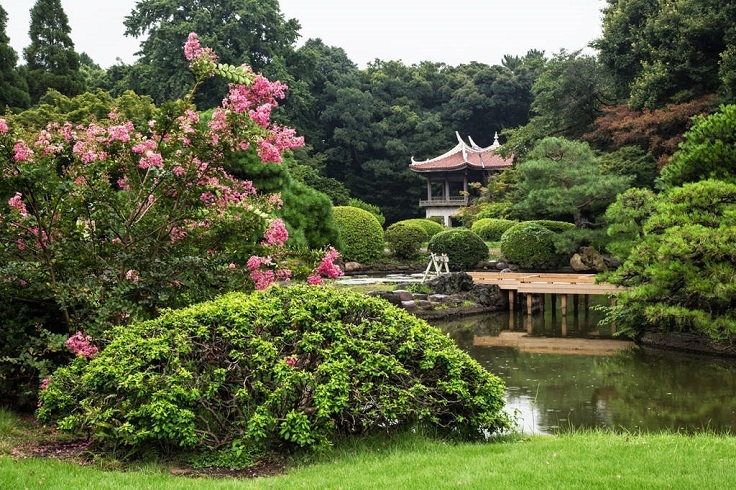 Located in Tokyo, the Shinjuku Gyoen garden is a wonderful way to escape the busy city center. It is comprised of three different gardens – a traditional Japanese garden, where visitors can enjoy large ponds with islands and bridges; a French and English garden with lawns and plenty of bulbs. Visitors can also see plenty of tropical and subtropical flowers in the greenhouse. The Shinjuku Gyoen garden is the place to be during spring when the cherry blossom trees bloom! 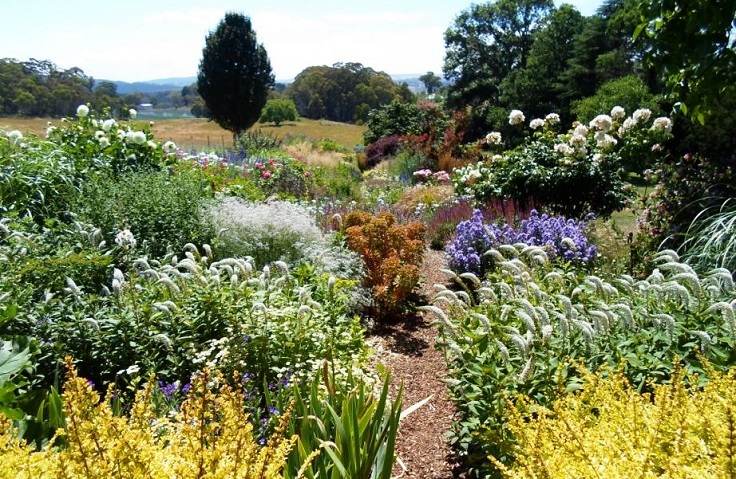 The Hillandale garden and nursery is considered to be one of Australia’s finest gardens! It is truly a breathtaking place where you can enjoy the beauty of park-like grounds with perennials, towering trees, 100-years old Rhododendrons and a 120m long herbaceous border containing over 200 species of all kinds of plants. The Hillandale garden and nursery are located in the village of Yetholme, New South Wales. Going to Florence and not visiting the Boboli gardens is such a pity! Located behind the Pitti Palace, these gardens belonged to the Medici family who put a lot of effort into making the gardens so stylish and fascinating. 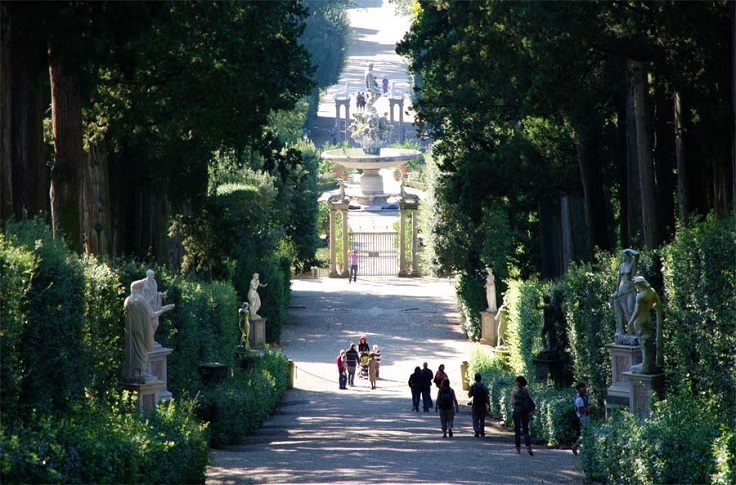 Entering the Boboli gardens will feel like a dream – there are impressive grottos, large fountains, a Rococo-style pavilion, and of course, plenty of beautiful plants! Once you get there, you will realize that the Boboli gardens aren’t only that – they’re truly a piece of art. Everybody has heard about the Luxembourg garden or those in Versaille, but Paris has a lot more to offer here. The Bagatelle gardens are the ideal place for those of you who love roses. Here you will find more than 10.000 rose bushes from 1.200 rose species! 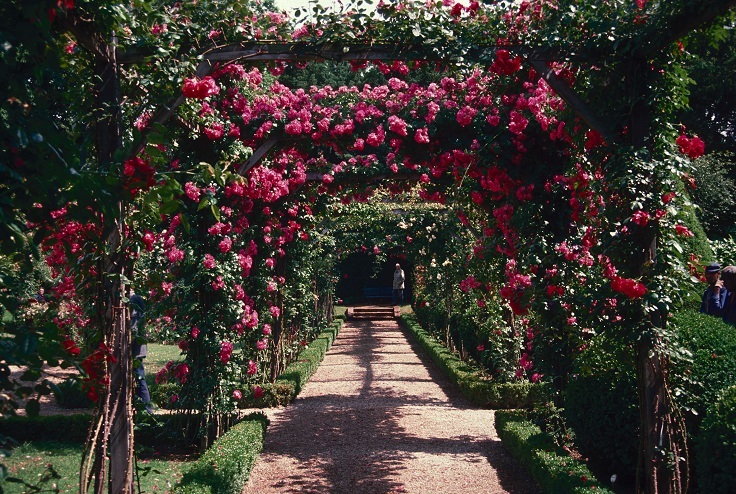 This is an extremely wonderful rose garden that will charm you with its romantic style. The Bagatelle gardens offer artificial waterfalls, caves, rocks and little bridges among all these beautiful plants. The Great Dixter was home of famous British gardener and gardening author Christopher Loyd, so it’s no wonder why this garden truly looks like entering a dream. The garden contains all kinds of plants – both annuals and biennials, hardy and tender perennials, shrubs and others which contribute to the beauty of mixed borders that make it a high-maintenance garden. 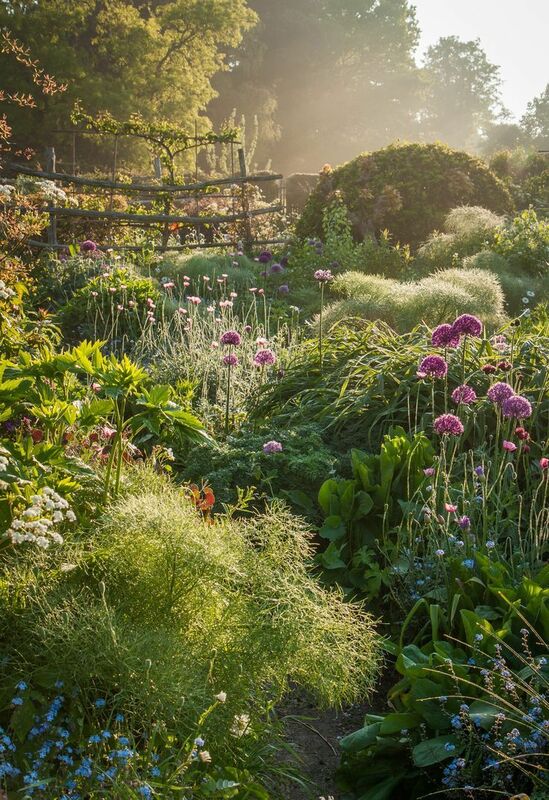 The Great Dixter is located in Northiam in Sussex, England. Looks like a fairytale scene, right? 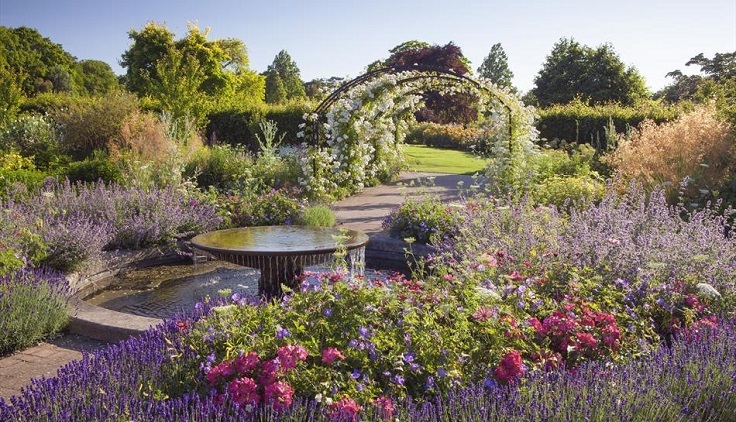 Well, luckily this is a real-life garden located in Wisley, England. It is a magnificent experience visiting this garden because it offers so much to its visitors. The RHS Garden is really big and you might need more time to see everything, so we recommend to see the Battleston Hill, a woodland garden with far-off plants; and the Glasshouse with its breathtaking herbaceous plants. The Singapore Botanical Garden is one of the oldest on the list – it was founded in 1859 and since 2015 it is the first UNESCO World Heritage Site in Singapore. It is also the first and for now the only tropical botanic garden on the UNESCO’s World Heritage List. The Botanical Garden is separated in four concepts and all of them represent a different theme. There are more than 10.000 species of plants here, so be prepared for some good exploring! Consider the Kirstenbosch Garden as a must for your trip in Cape Town, South Africa. It is located on the slopes of the Table Mountain, which contributes to a dramatic scenery surrounding the garden. 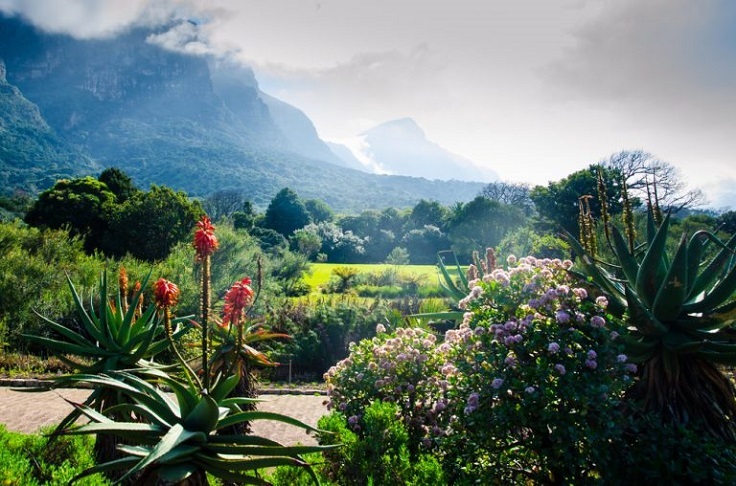 When visiting, make sure to see the some of the gardens of Kirstenbosch, such as the medicinal garden with 2.500 species of plants found on the Cape Peninsula, or the glass house with its plants from Africa’s arid regions.